It’s time. It’s time for you to take yourself on, to create your life your way. I call this cutting Fresh Tracks. Cutting Fresh Tracks is not for the faint of heart. It requires you to embrace your true self and take on a new challenge. To step into a new adventure. You know you are ready when you decide to take charge of YOU and begin creating different results in your life. You are ready to live your life your way. You may have an idea of what you want to do, or just know something in your life is not right. Perhaps you have known this truth for quite some time and feel the purposefulness in achieving this step deep inside. And yet, you pause. Taking responsibility for your life and its outcomes is not the norm. In order to create a lifestyle, a business, health, love, happiness, and anything else you desire you will need to choose differently than you ever have before. You may be choosing to do things that no one in your family has ever done. I call this cutting Fresh Tracks. Prefer to listen? The book is available on audio too! Women’s Bean Project believes all women have the power to transform their lives through employment. They hire women who are chronically unemployed and teach them to work by making nourishing products that they sell across the US through some of the country’s largest retailers. Through their work at Women’s Bean Project, the women learn to stand tall, find their purpose and break the cycle of poverty. Because when you change a woman’s life, you change her family’s life. Cutting Fresh Tracks and making a difference. 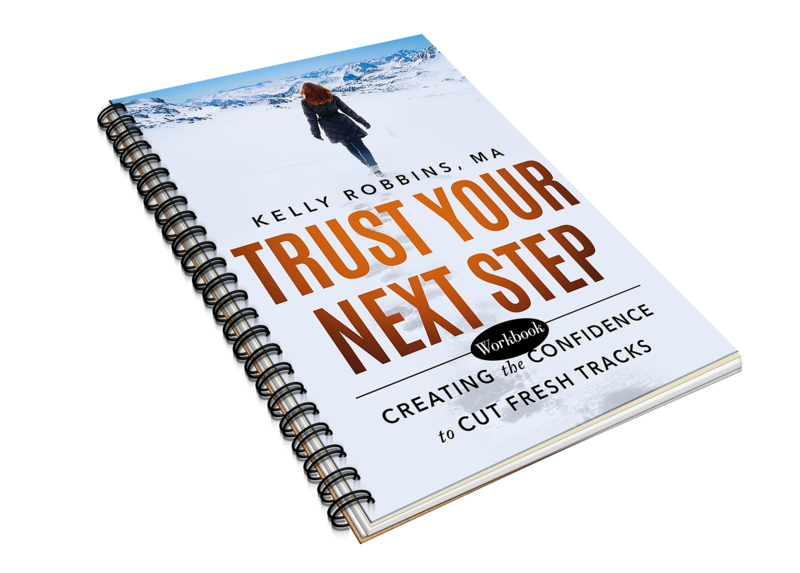 This workbook is meant to be used in conjunction with the book, Trust Your Next Step: Creating the Confidence to Cut Fresh Tracks. There are several ways to leverage these teachings. The work can be completed one chapter at a time as you are reading the book. Alternatively, you can read the book through once in its entirety and then complete the workbook exercises as you go through the book a second time. Completing these exercises will give you insights on yourself and specifically areas where you are not trusting yourself completely. 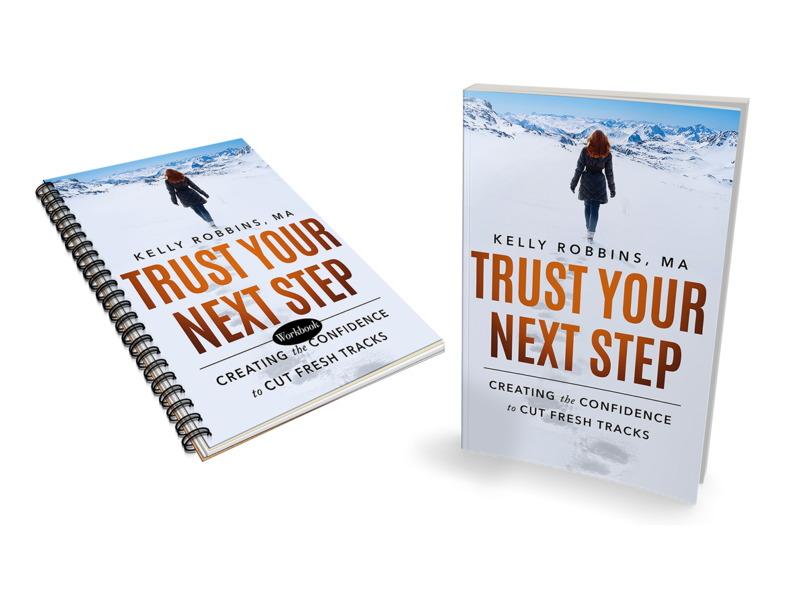 If you are struggling to create change in an area of your life, the exercises in this workbook may provide insights into where you are stopping. You will also find you develop a deeper understanding of why you do some of the things you do that prevent you from moving forward in your life. Whether you focus on a specific area of the book that grabbed your attention, or you complete each exercise in order one by one, listen to yourself. Listen to the internal dialogue that comes up, and take action, even if it’s in one small area, to creating your Fresh Tracks. Even minuscule steps forward are steps forward! Don’t judge, do. Most importantly, trust that this is your next step. And enjoy the journey. Purchase the workbook here now. Purchase both the book and workbook today! 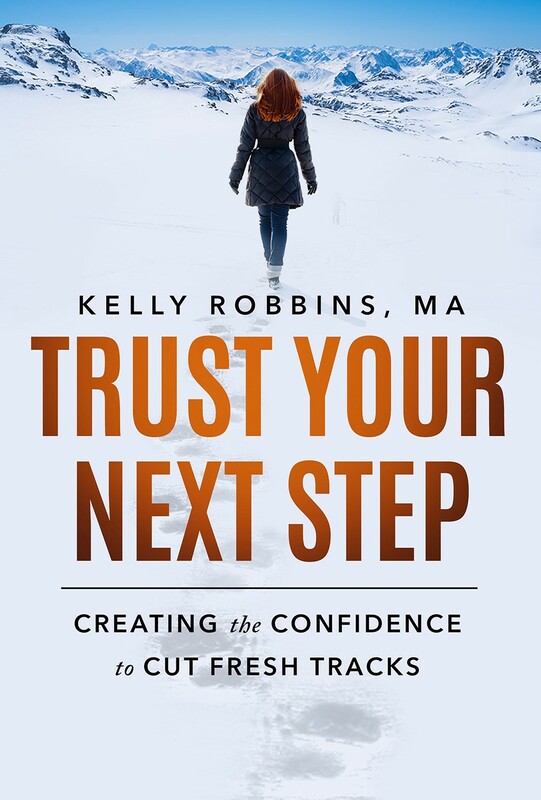 “Kelly Robbins has an amazing gift for cutting right to the heart of the matter and then helping carve a path forward. She not only offers tremendous insight into the struggles we all face, but also offers tangible, actionable ideas to break out of your rut and move forward with purpose and clarity.